Every year I strive to teach my students about the larger-than life myth of Columbus and address the trauma of indigenous peoples. Fall break at my school always falls over Columbus Day, but even though we weren't in school last year, I made a point to have the conversation in therapy the week before the holiday. We discussed the way Columbus is often discussed in schools, and compared that with the reality of what happened to thriving Indigenous tribes that were thought of as "less than human" or "savages" by marauding explorers. It is a tragic, traumatic tale, and it often goes untold. 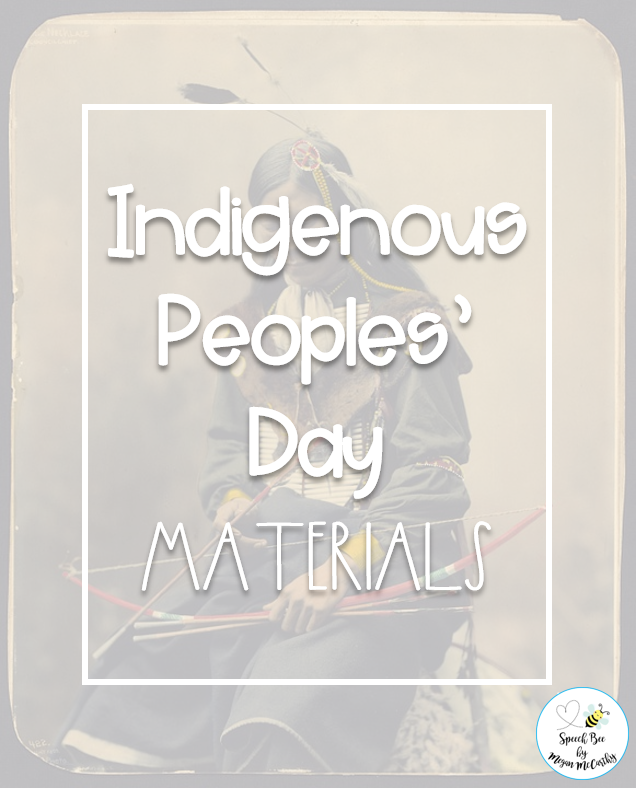 With the plethora of Columbus Day materials that will undoubtedly make the rounds soon, I wanted to just take a second to highlight some materials you could use this year to start a larger conversation with students. Hard questions will be asked, but new truths will be told. 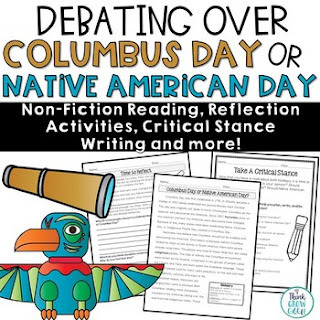 Even if you don't agree with getting rid of the Columbus Day moniker, it's worth it to have an open, two-sided conversation that allows your students to make decisions for themselves by exploring both sides of this story. Check out these awesome materials to spark some conversation in your speech room! Last year, I used this resource with my younger students, that was collaboratively made by two TPT sellers. They include a full color informational book that can be shown from your computer or tablet. They go further by including individual sheets for students to respond to and delve deeper into their thinking on various issues. Practice Makes Perfect has created a simple four page story for elementary students. 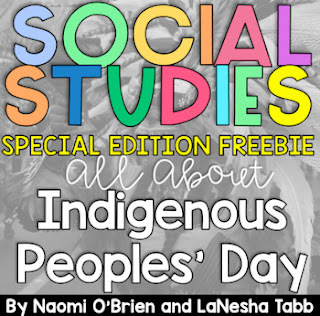 She includes both a color and black & white version to present students with another view on Columbus "discovering" indigenous cultures. 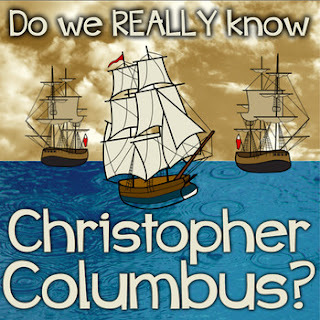 Get students moving with a read-the-room activity to determine myths vs. facts surrounding Columbus. 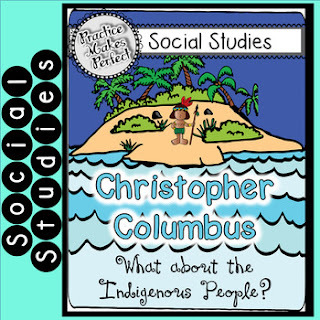 Students learn about Indigenous peoples and tribes Columbus encountered, and can check understanding with a y/n question comprehension check. Older elementary grade students can use this amazing bundle to think critically themselves. This packet offers three articles to get students started, and follows up with a wealth of resources to get students working through all the steps of opinion writing. Students can also make and take their own flip book as well! Finally, we can't forget upper school students! Middle and high school students can use this activity to practice giving their opinions and debating. Students are offered articles on both sides of the debate and led through writing and organizing their thoughts before sharing. 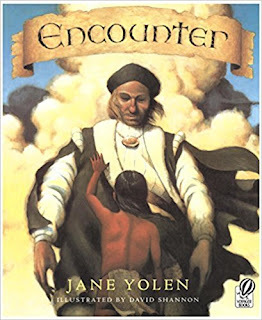 Finally, I wanted to share an affiliate link for this really beautiful book by Jane Yolen, Encounter. When I say beautiful, I don't simply mean the gorgeous illustrations but simply the prose that this book is written in. Taken from the perspective of a young child warning his tribe against Columbus and his voyagers, the style that this book is written in gives loads of opportunities to help students infer meaning and make predictions about what will happen. There is also a message woven through about the young protagonist not being believe because he was a child, which is a great lesson I'm sure all of our students can relate to. 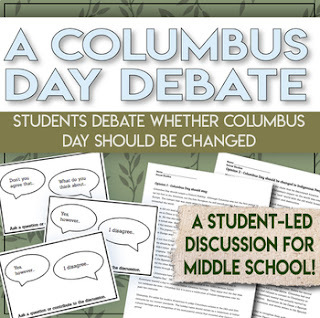 I highly encourage anyone to check out this book and pair it with the lessons above to give students a more balanced view of Columbus Day than curriculum typically teaches. I would love to hear your thoughts in the comments below! Feel free to share other materials and resources you use as well! 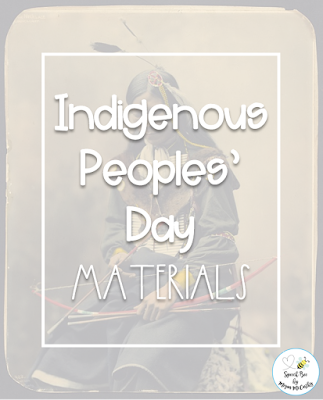 Have a wonderful Indigenous People's Day!